Whether you’ve visited jewelry shops with your significant other or helped a friend build a super-secret Pinterest board for their future wedding, one thing’s certain—engagement rings have probably crossed your mind at one point or another. Diamonds are the traditional choice, but if those aren’t your thing, we’ve done some digging to find other options that are sure to catch your eye. We’ve uncovered everything from antique styles with blue lapis stones to rings with interlocking bands to one framed around a crystallized geode. Some include small diamond details, but with all of these rings, other stones are the focal point. Whether your style is minimal and sophisticated, retro and vintage, or quirky and unique, we’ve rounded up some rings you’re sure to love. After all, this piece of jewelry will be on your hand forever, so you want to make sure it reflects your distinct personal style. Keep reading to shop 20 non-diamond engagement rings from Cartier, Cathy Waterman, Kimberly McDonald, and more. 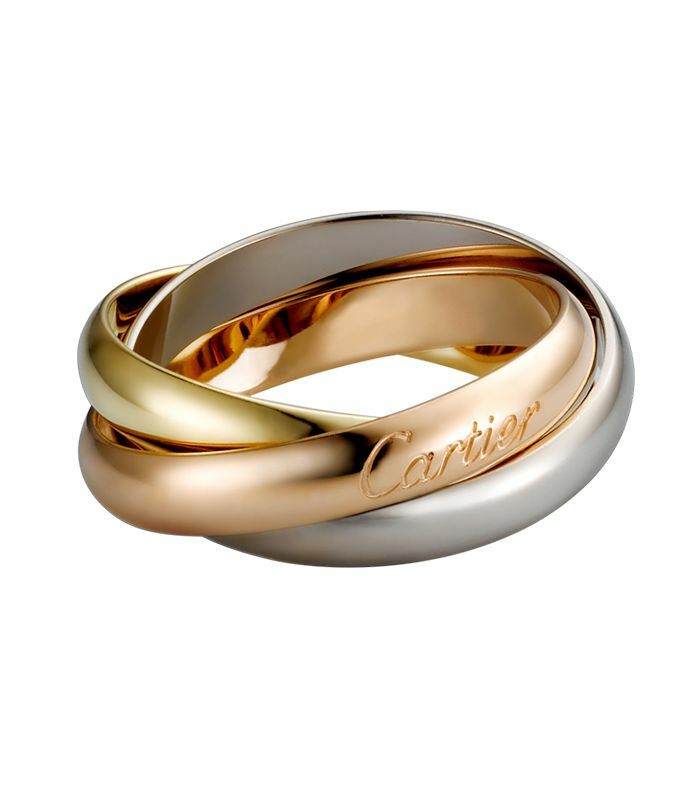 We love Cartier's signature design of the three interlaced bands. The gold band strikes the perfect balance against the red garnet stone. The numerous bands are just an illusion. We love the choice of a blue sapphire stone for an engagement ring. Instead of one band, opt for three. Try a ring with a black stone. We love this green color for an elegant and sophisticated ring. Make a statement with this black-stone ring. Stack this ring up with others you own. The placement of these stones is so unexpected. This fire opal stone is so dreamy. The crossover bands really stand out. This pearl ring is sweet and sophisticated. This rectangle shaped peach morganite ring has a vintage feel to it. We could stare at this oceanic stone for hours. This band covered in sapphire stones is elegant and timeless. Sapphire, ruby, and emerald blend beautifully on this ring.